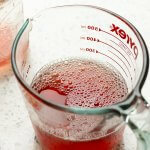 Hi Everyone, oh, all the things you can make with rosewater (or is it rose water?) Anyways, rosewater led me to this rose water simple syrup and now I’m like, oh all the things I can make with rose water simple syrup…I want to know, what would you make first? 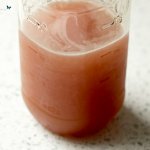 Rose Water Simple Syrup is a sweet, rose-scented syrup that you can add to mix drinks and other recipes. 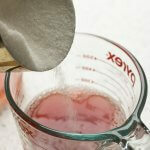 1 cup rosewater search LLS for "Rosewater"
Pour 1 cup rosewater into a wet measure. Pour 1 cup sugar into the rosewater. Stir the mixture until the sugar is dissolved. 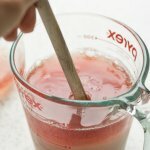 Pour into a jar with a lid.